Our obsession with alien UFOs have seemingly become ‘unhealthy’ over the years, with even some major achievements of our hardworking ancestors being attributed to advanced extraterrestrial beings. Anyhow, we have come across some unique specimens of human-made aircraft that may be potential candidates for many of those innumerable UFO sightings that have occurred in the last 70 years or so. 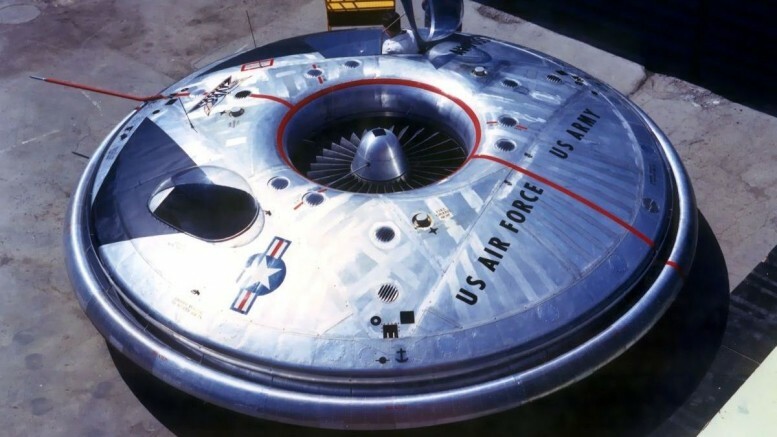 So, without further ado, let us present to you fourteen of the world’s oddest looking experimental airplanes that would give the alien-esque objects and flying saucers a run for their money. *Note – The year of each entry mentioned inside the brackets pertains to the plane’s first flight, and not necessarily the year in which it was actually designed. 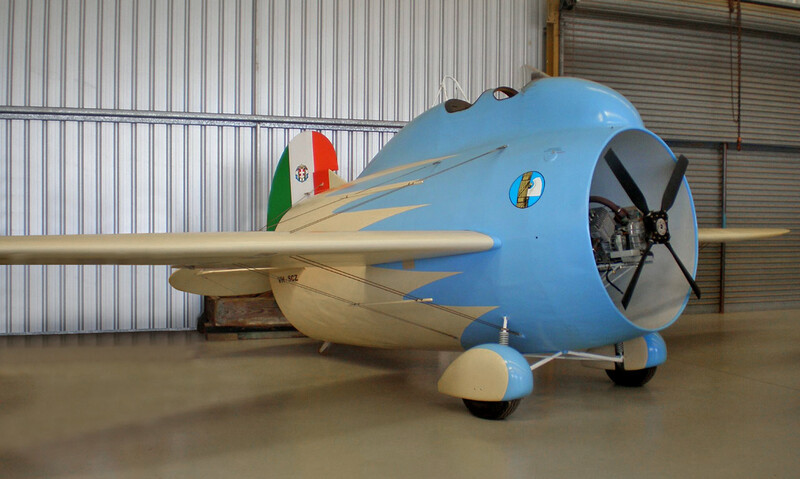 Designed by Luigi Stipa for Regia Aeronautica (Italian Royal Air Force), the anomalistic Stipa-Caproni is generally considered as a precursor to the advent of jet-propulsion. In fact, Stipa himself was quite convinced that the Germans stole his tech for the development of the latter V-1 flying bomb during Second World War. 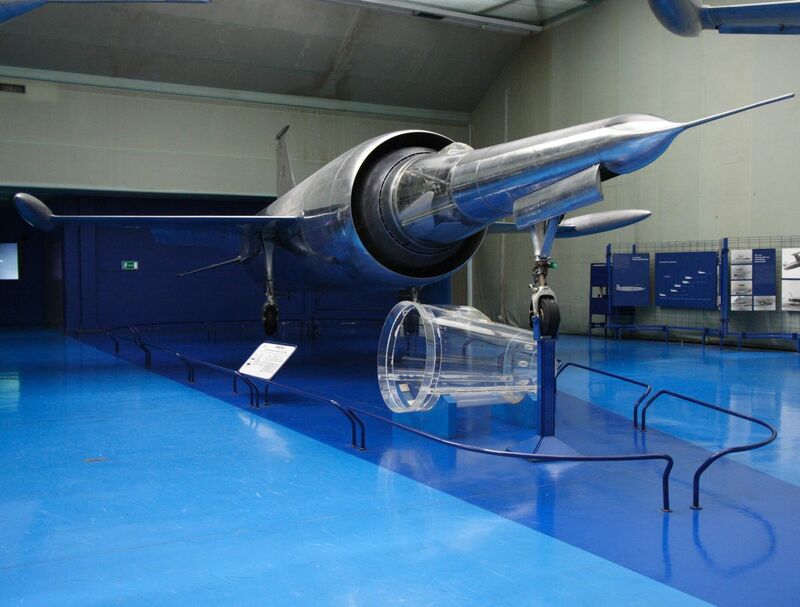 Unfortunately, Regia Aeronautica was not that interested in pursuing the ahead-of-its-time design. 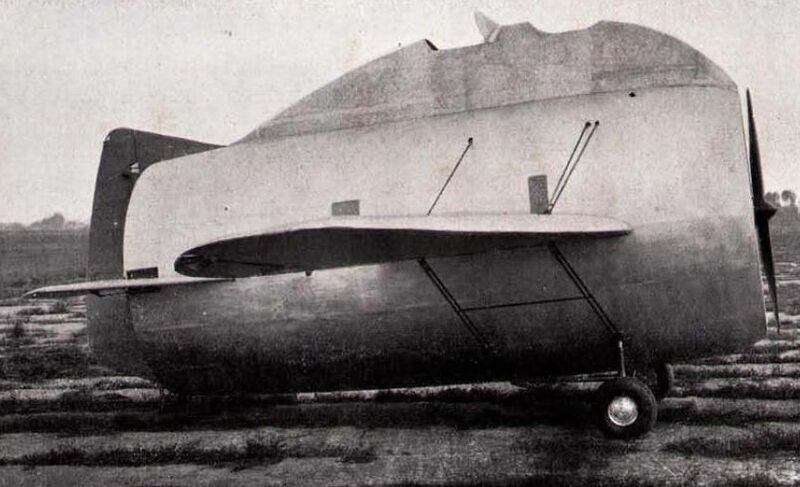 In any case, the Stipa-Caproni boasted of a hollow yet plum cylindrical fuselage that entirely covered the engine as well as the propellers, thus giving an odd appearance of a huge flying barrel from the side. 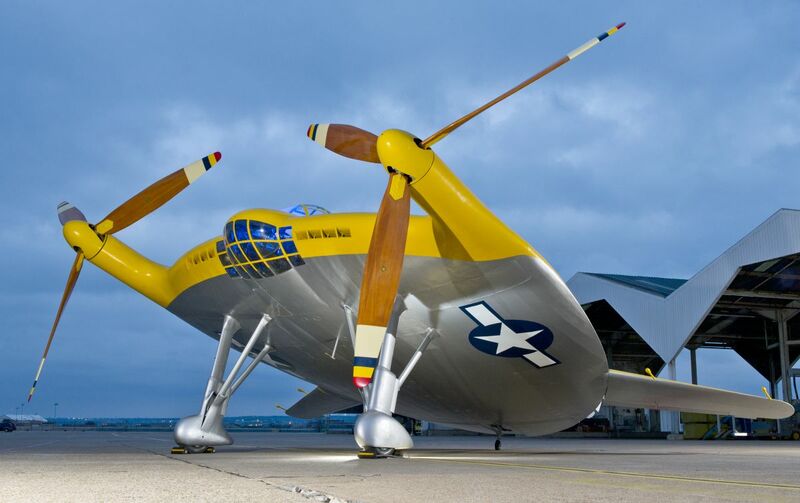 Designed by Charles H. Zimmerman as an experimental aircraft during Second World War, the American Vought V-173 is better known as the ‘Flying Pancake’. The colloquial christening came from its flat, roughly-disk shaped body (with the circular wing having dia of 23.3 ft) that was tailored to lifting. 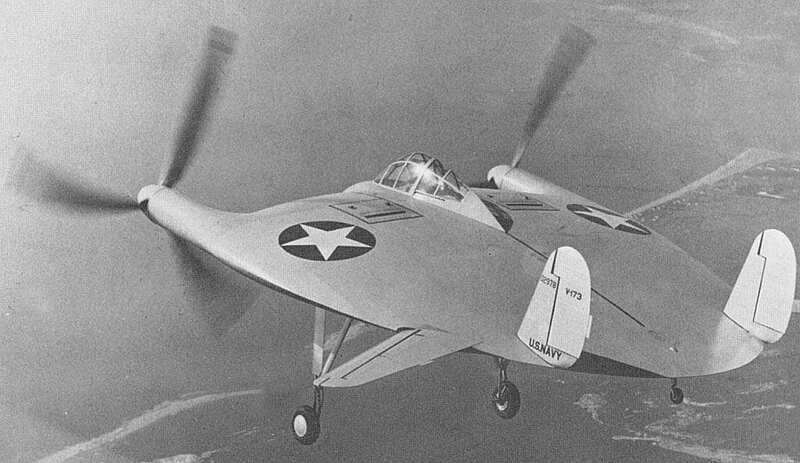 But beyond the gimmicky design, the Vought V-173 did have some problem relating to its obtrusive gearbox that intruded upon the power served to the engines. However, on further test flights, the famous Charles Lindbergh found the plane to be extremely maneuverable with incredible low-speed capacity and very strong air-frame. And unsurprisingly, it is documented that many baffled Connecticut residents did report of some odd contraption flying in the air during those test runs. The Vought V-173 finally made its way into the development version of Vought XF5U-1 – which was both larger and heavier. 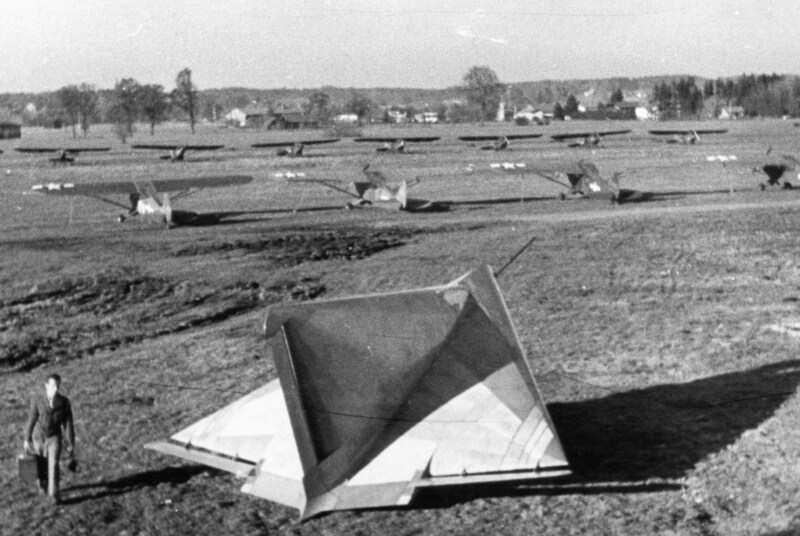 Pertaining to an incredible slice of history, this single-seat experimental glider was a part of the Nazi strategy to dominate the air. And as can be expected from their highfalutin goals, a later version of the aircraft was planned to have a wing area of 70 sq m (or 760 sq ft) and an astronomical speed of 10,000 km per hour or 6,200 mph (yes, you read that right!). It all started out with the design of the first prototype DM1, which was crafted from materials like bakelite infused plywood and steel tubing. Oddly enough, the project was not abandoned after the fall of the Third Reich. In fact, the Americans (including exalted names like General Patton and Charles Lindbergh) was eager for the endeavor to continue – and as a result the design was even studied by NACA, the preceding organization that came before NASA. 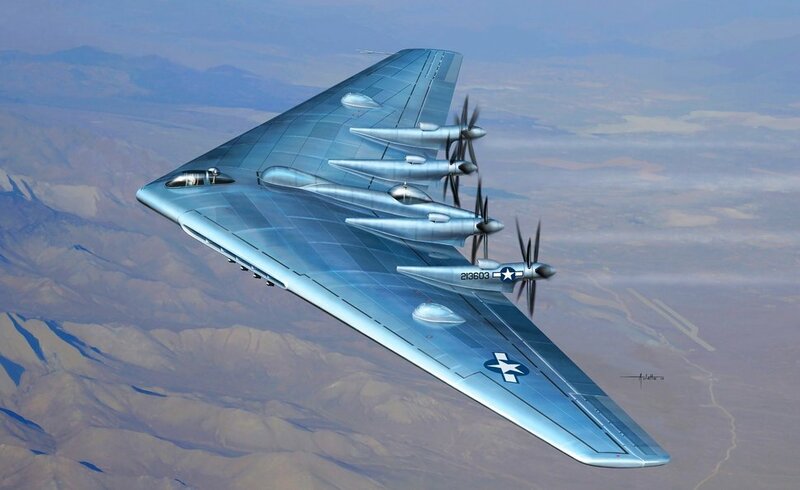 This experimental heavy bomber from Northrop Corporation engineers was developed for the United States Army Air Forces just after the end of the Second World War. 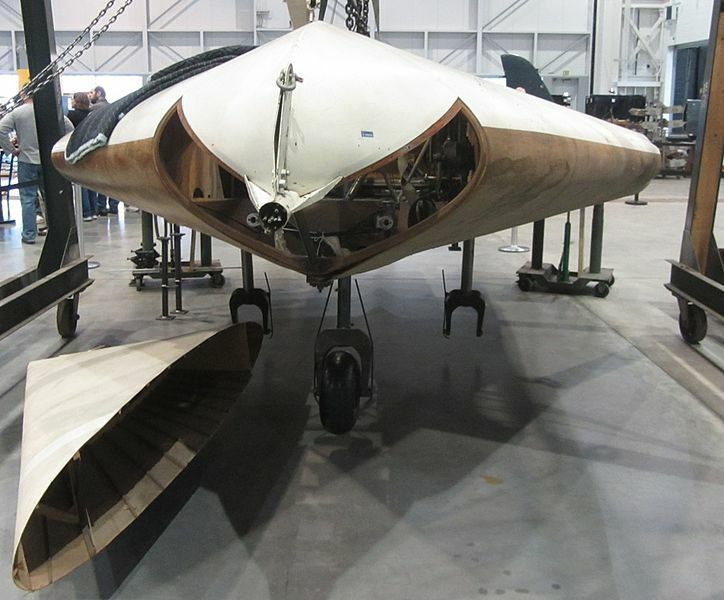 The curious looking aircraft radically demonstrated the effectiveness of what is known as the ‘Flying Wing’ design that allowed the entire payload to be carried in the wings, as opposed to the fuselage. This incredible engineering feat (though marred by constant development problems) totally relegated the need for a physical fuselage and a tail section. 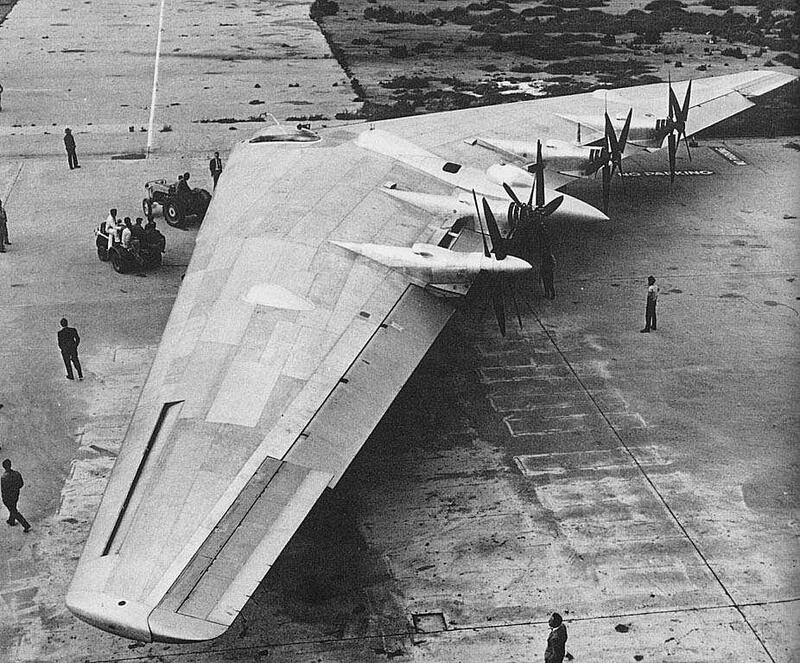 The Northrop YB-35 gave way to YB-49 in 1949, while the project was unsurprisingly also instrumental in the future development of the renowned stealth bomber B-2 Spirit. Aircraft enthusiasts would better know the Leduc 0.10 as the world’s first plane that was powered by a ramjet, a type of air-breathing jet engine. Interestingly, the French-made Leduc was originally designed way back in 1938 by René Leduc, while its construction project was kept secret from the Germans when most of France was occupied during Second World War. Reminiscent of a bullet, the deviant aircraft finally made its first flight after 9 years, in 1947. But it could not take off on its own, as ramjets are incapable of producing trust at the zero speed of air. So, the solution was unwieldy to say the least, with the engineers deciding to carry it on a Sud-Est Languedoc mothership, and then dropping it off in mid-air. In spite of such cumbersome tactics, the Leduc did reach a top speed of 0.85 Mach that pretty much proved its robust power. 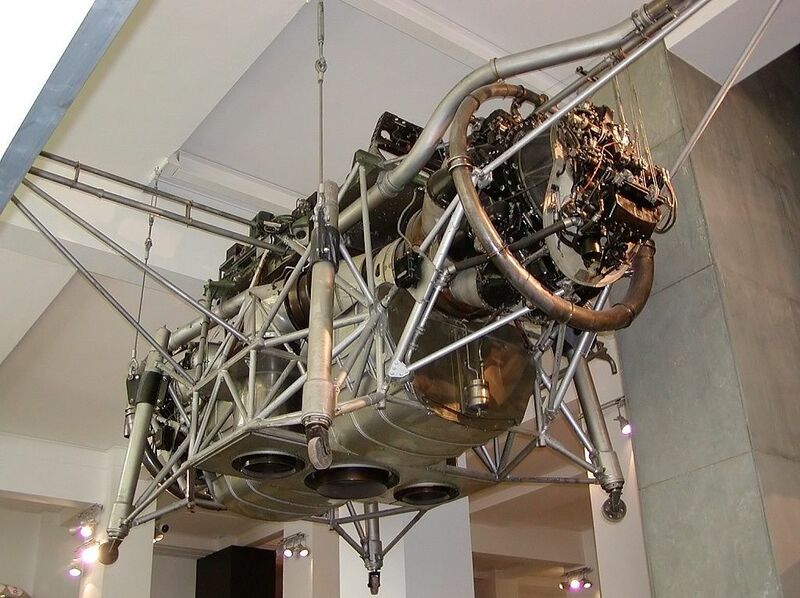 One of the pioneering specimens of VTOL or vertical take-off and landing, the Rolls-Royce Thrust Measuring Rig (TMR) was renowned for its utilization of dual turbojet engines that were supported on a seemingly ramshackle steel framework. The flying contraption otherwise completely eschewed any form of lifting surface, be it wing or blade. 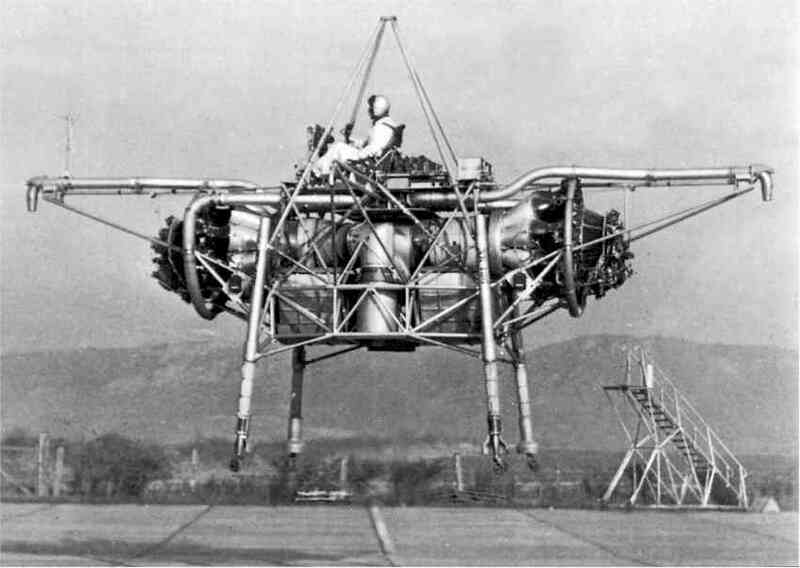 Also colloquially known as the ‘Flying Bedstead’, the testing craft aptly showcased the ability of turbojet engines for lift offs when combined with automatic stabilizer systems. 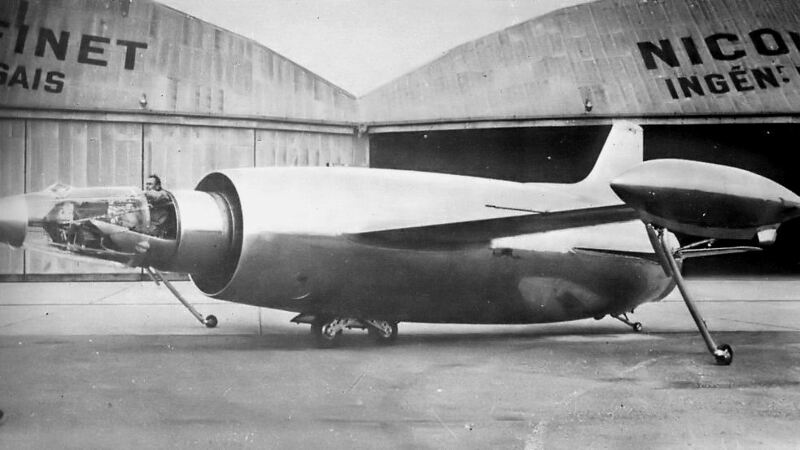 The TMR led to the creation of the Rolls-Royce RB.108 turbojet, which was used for the first VTOL aircraft of the British air force – Short SC.1.